Positive news stories about Ashford town centre just keep on coming. Following our previous post, it is thrilling to see the progress of the major regeneration projects such as the College, the Commercial Quarter and Elwick Place. These are big and exciting developments for Ashford that are currently progressively moving ahead. To find out more about each of them, click here. To see all developments that are due to take place in Ashford, click here. The performance of the town centre's businesses and the variety of products and offers show no signs of slowing down! It is wonderful to see new businesses opening up for people to discover and for everyone to fall in love with the high-street. In the last month, a new original café Nutmeg Coffee Shop launched on the high street and has already shown lots of local interest. Find out more about Nutmeg here. Last bank holiday Monday, the 1st escape room in Ashford opened! If you haven't heard about it yet then you are missing out on awesome news. Our Facebook post announcing it's launch generated an incredible amount of interest from various age groups of Ashford locals eager to arrange a booking. More on the Escape Room here. 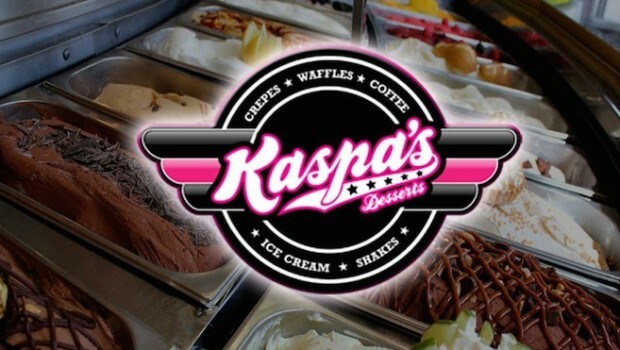 Also the former pizza hut building that was vacant at the bottom of the lower high street has now been confirmed to be occupied by Kaspa's Ice Cream Parlour. It is great to welcome Kaspa's to the town centre. And everyone is very excited to see them open! If you haven't heard of this nationwide dessert house, see here. 58% of shops in the town centre are thriving independents, double the number of independent businesses found in town centres nationally. Ashford’s vacancy rate is at a new all-time low of just 8.8%, which is below the national average. And in Park Mall, the shopping centre purchased by Ashford Borough Council in June 2015 when 11 (one third) of the shops were empty, the strong reinvigoration continues. Footfall has increased week on week and is currently averaging at an 8% increase on 2016 figures. Just two units remain vacant and are being actively marketed. Enjoy the town, support the businesses and when you are out tag us in on @LoveAshford to be featured or get in touch on our social media platforms, we love to chat! Look out for more update posts just like this one for you!